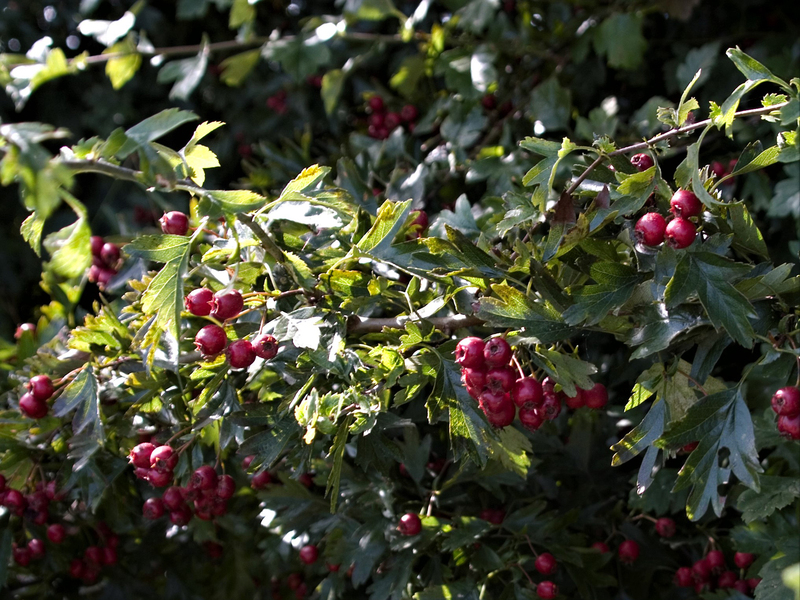 Haw berries are full of pectin and perfect for helping to set jams, leathers and jellies. 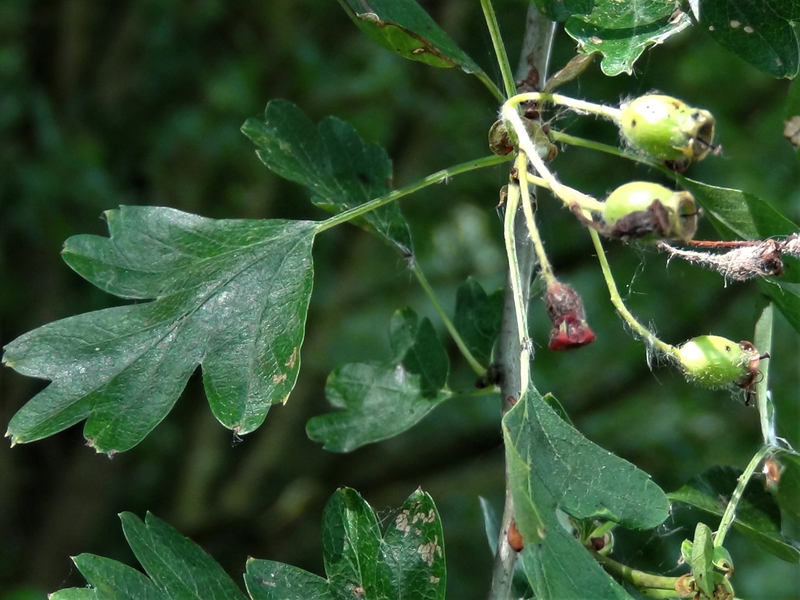 A very common and healthy plant to forage from. 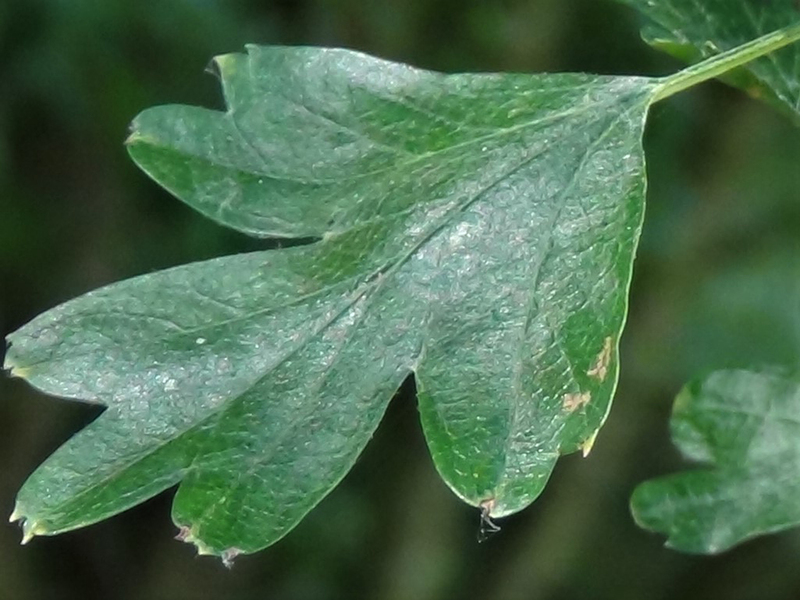 Deeply lobed and a bit darker green on the top surface of the leaf. 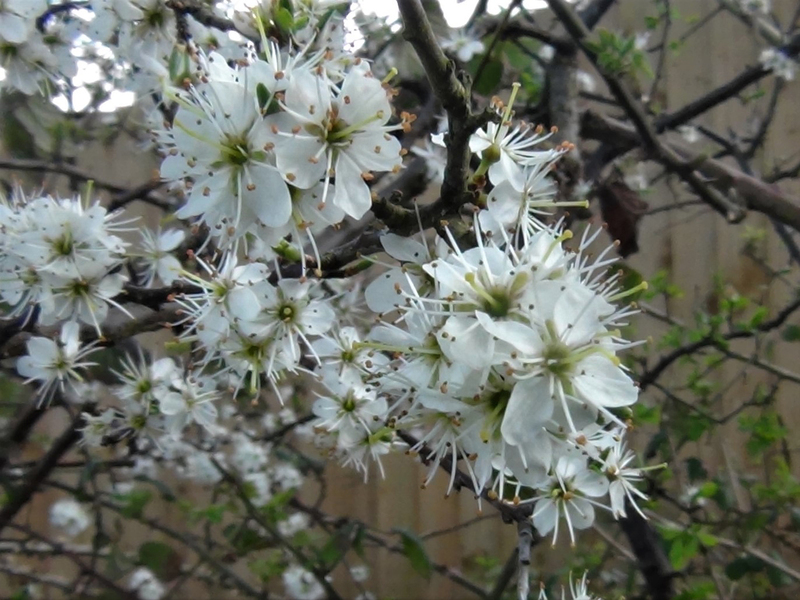 Small, white, with five petals and an almondy smell. 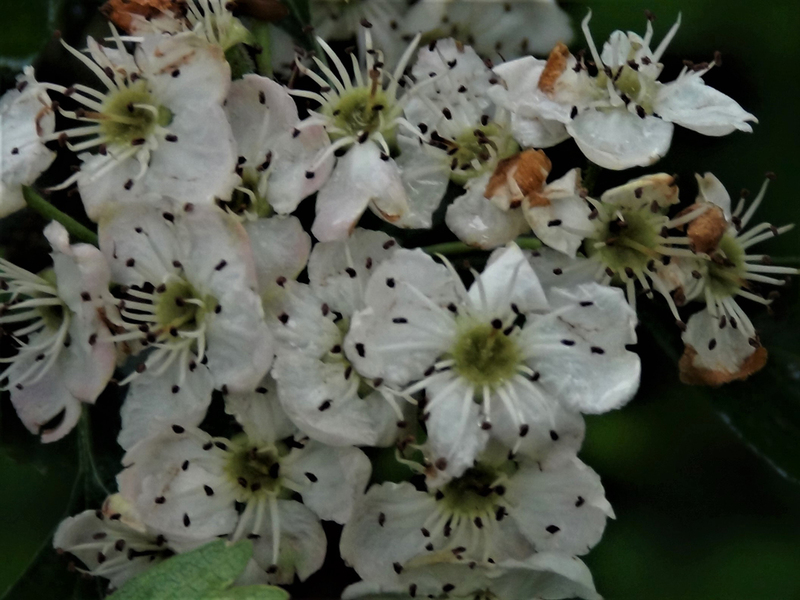 Flowers from May to June. 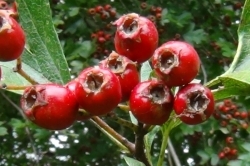 The orange to deep red berries, typically with one stone although there can be more in some species or hybrids, hang in clusters in the Autumn. 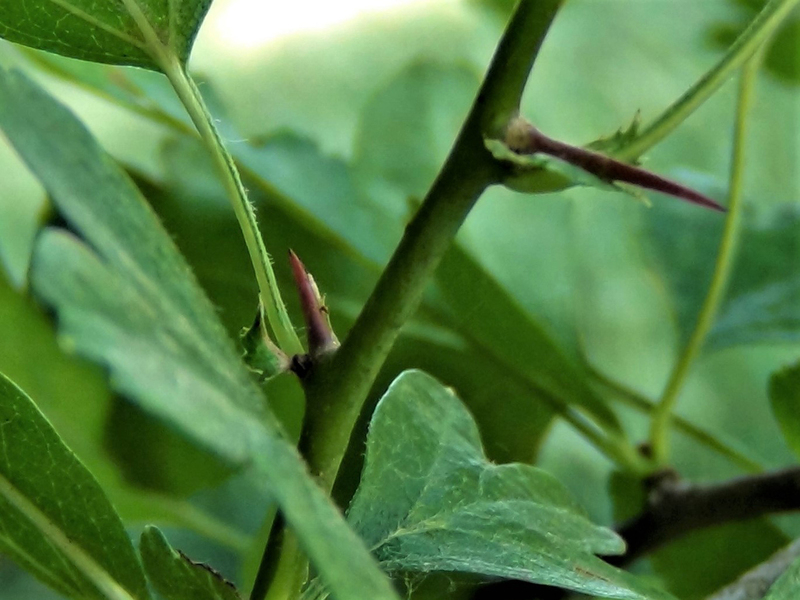 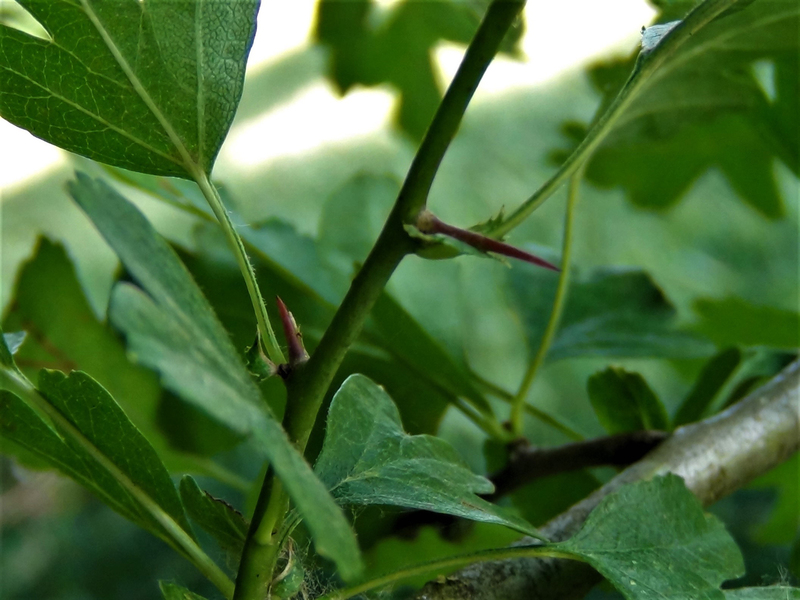 The smaller thin branches have very sharp thorns. 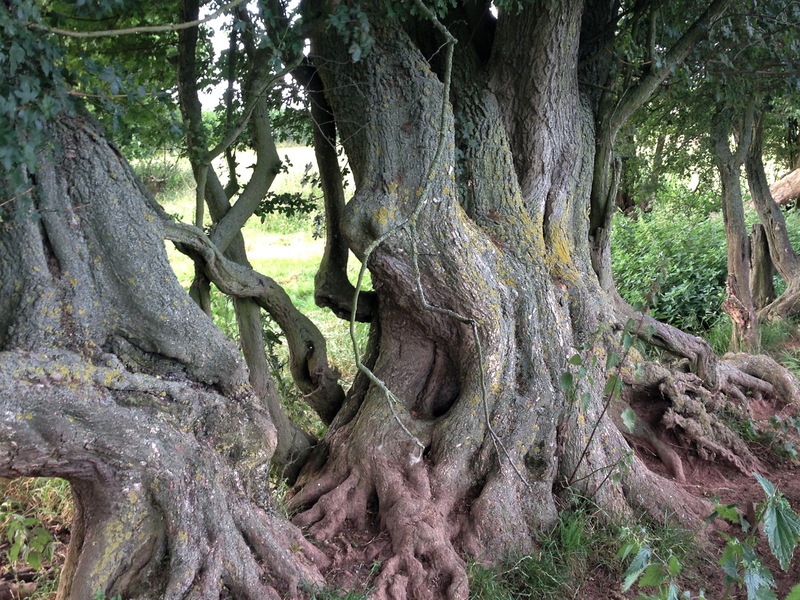 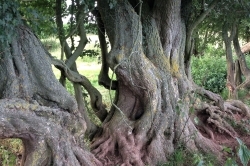 Older mature Hawthorns are more like trees than shrubs and have gnarled, twisted trunks. 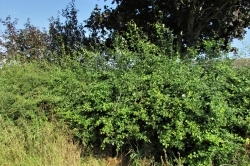 Hedgerows, woodland, waste ground and planted in urban areas. 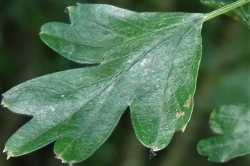 With its distinctive leaves it is quite hard to confuse this plant with any other. 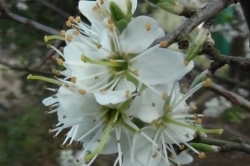 The flowers have a bitter almond or marzipan smell. 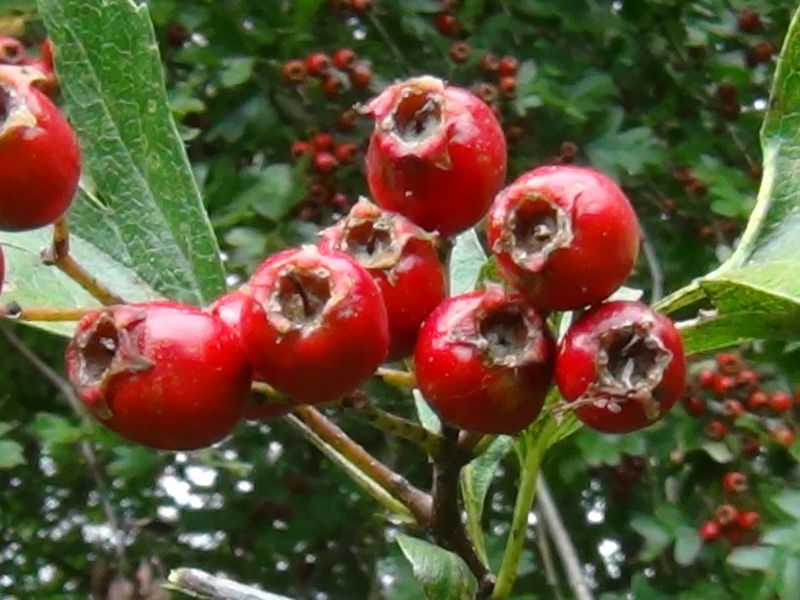 The berries taste a bit like a slightly over ripe apple. 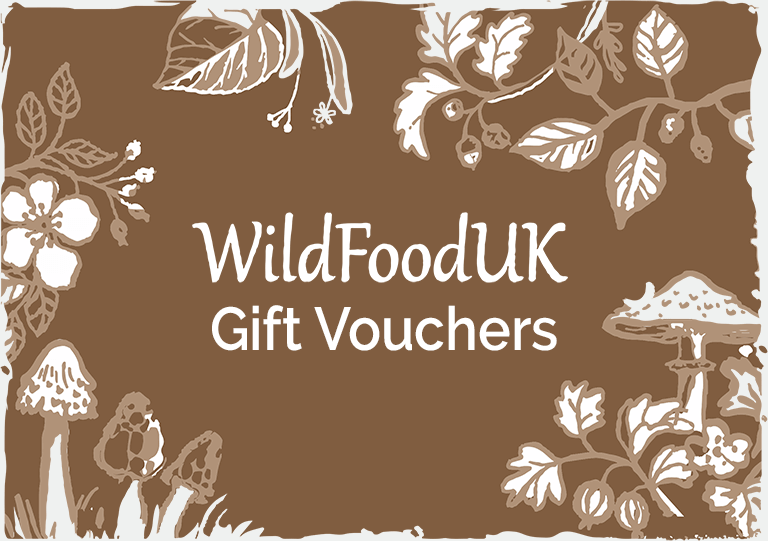 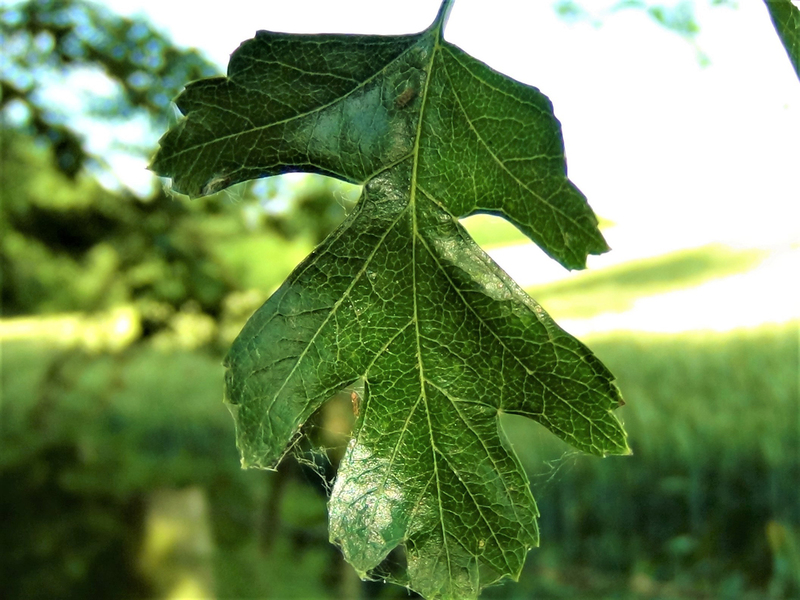 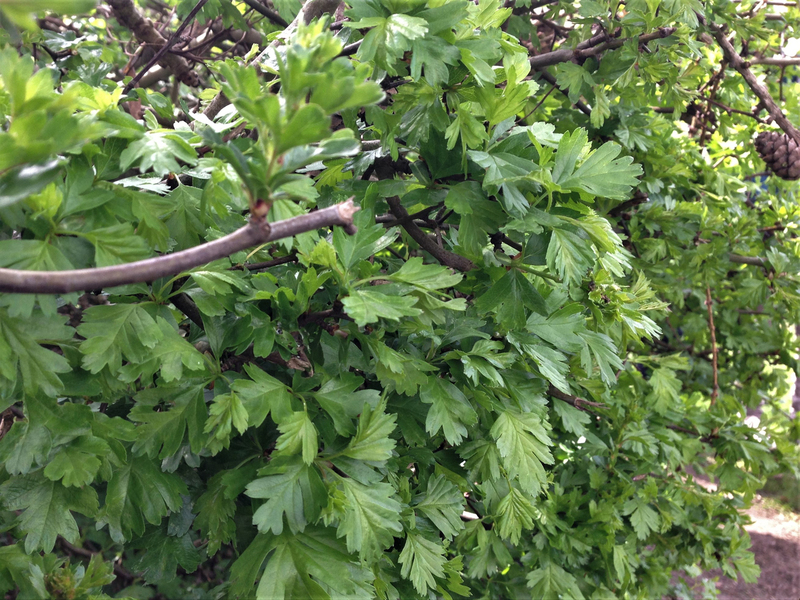 The leaves can be collected in Spring for use in salads or at any time for teas. 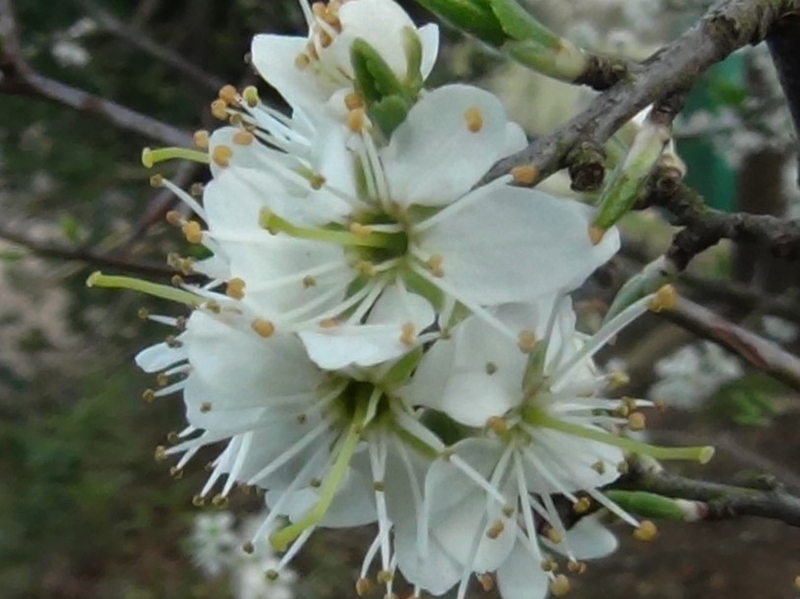 The petals can be used for salads. The berries are best after a frost in Autumn but as frosts appear later and later try the berries, they are ready when sweet. 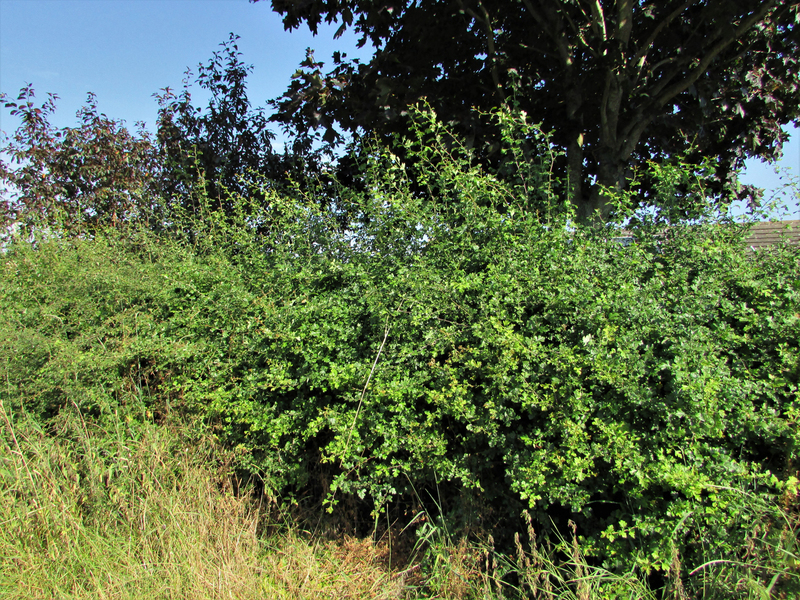 We also have freezers now so the berries can be ‘bletted’ (frozen) artificially. 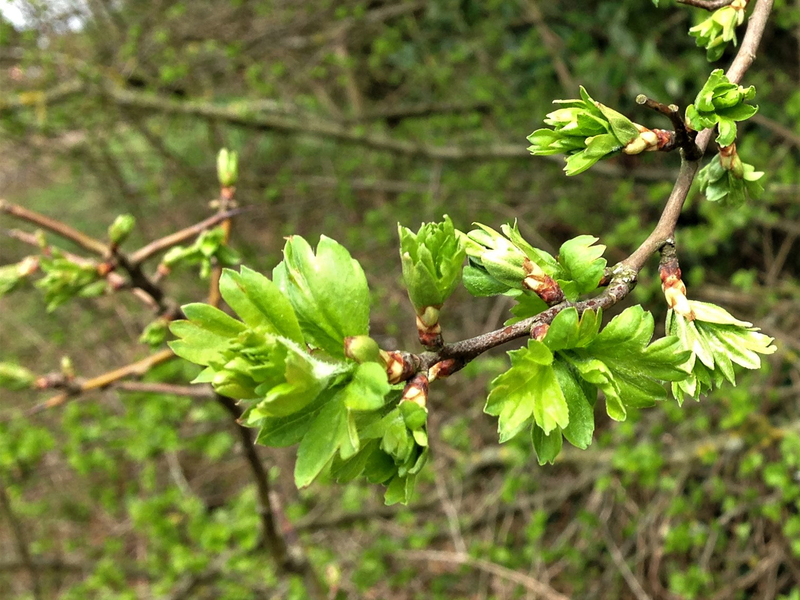 All parts of the hawthorn are good for regulating blood pressure but the leaves are reported as the best and used to make a tea. 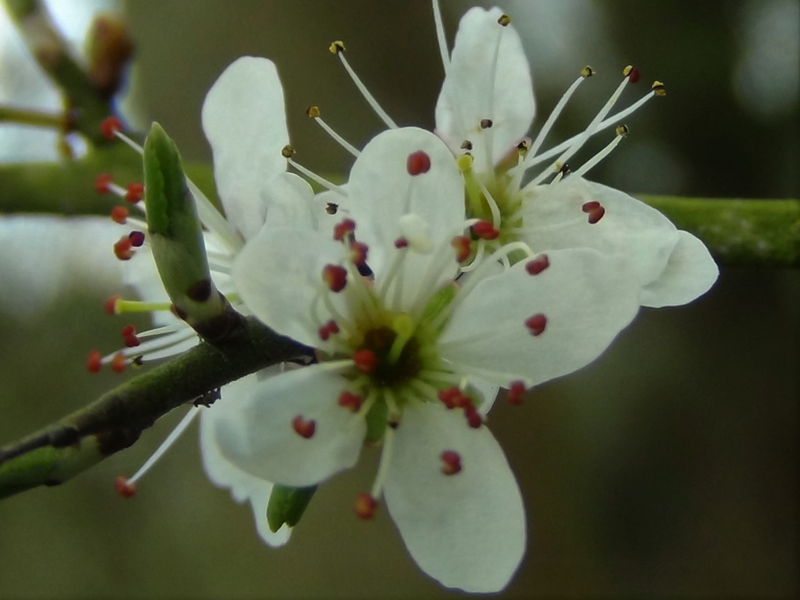 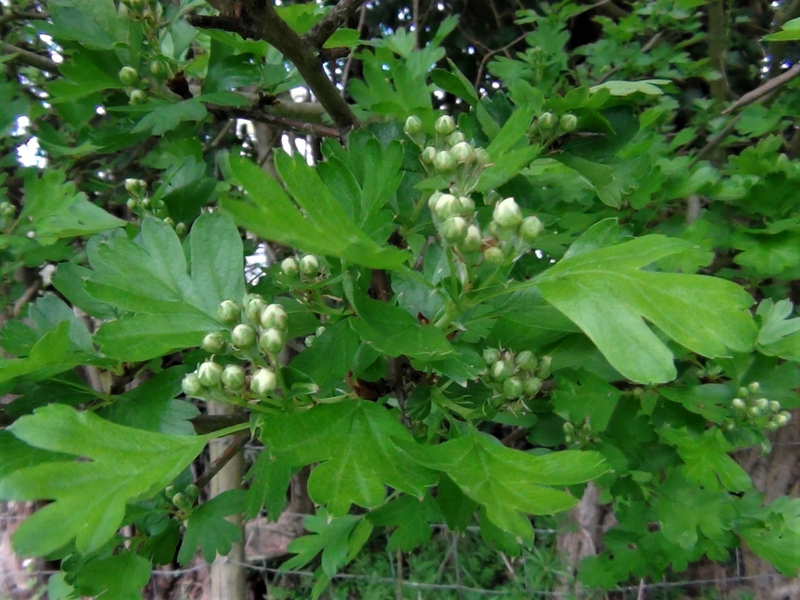 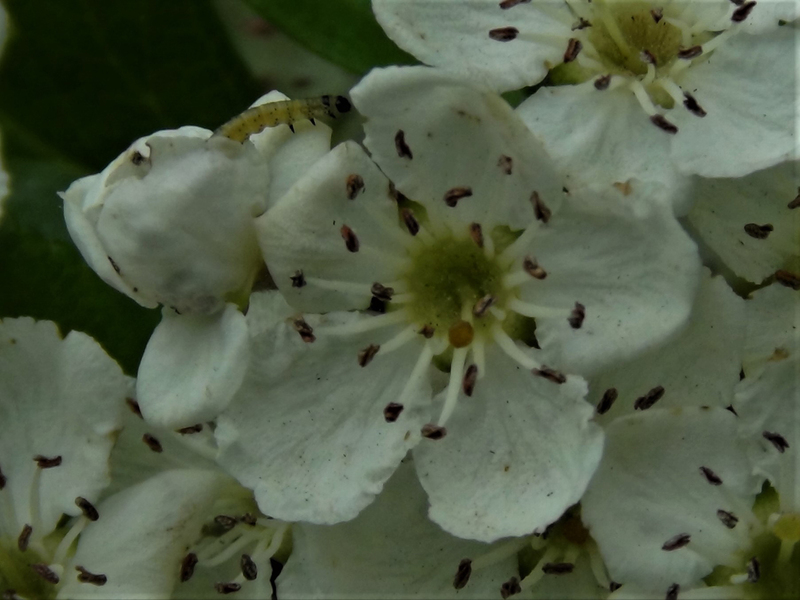 The Hawthorn has a few different species and many hybrids growing in the UK but the most common is monogyna followed by the Midland Hawthorn, laevigata. 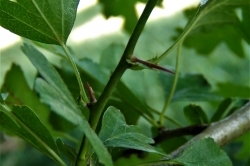 Both can grow as a bush like shrub or more like a tree with monogyna usually being more upright. 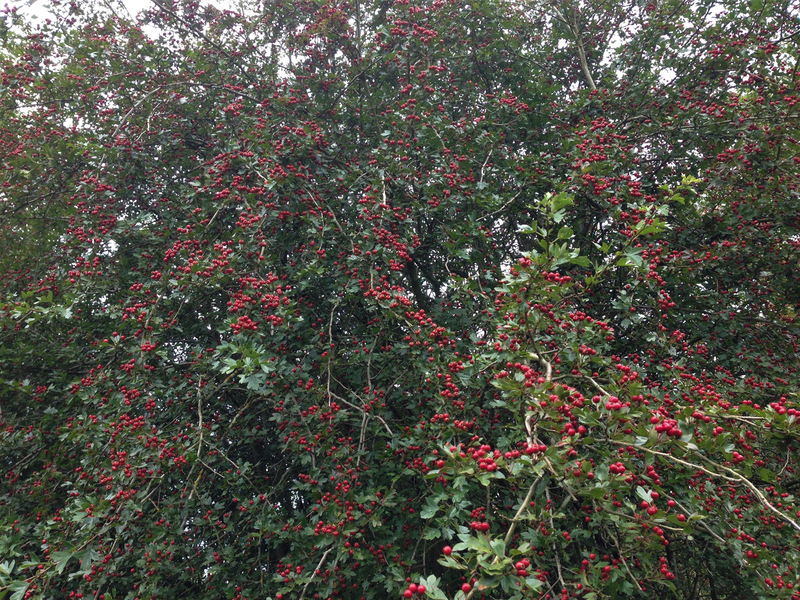 The berries contain a large amount of pectin and are a great addition to jellies and jams to help them set. 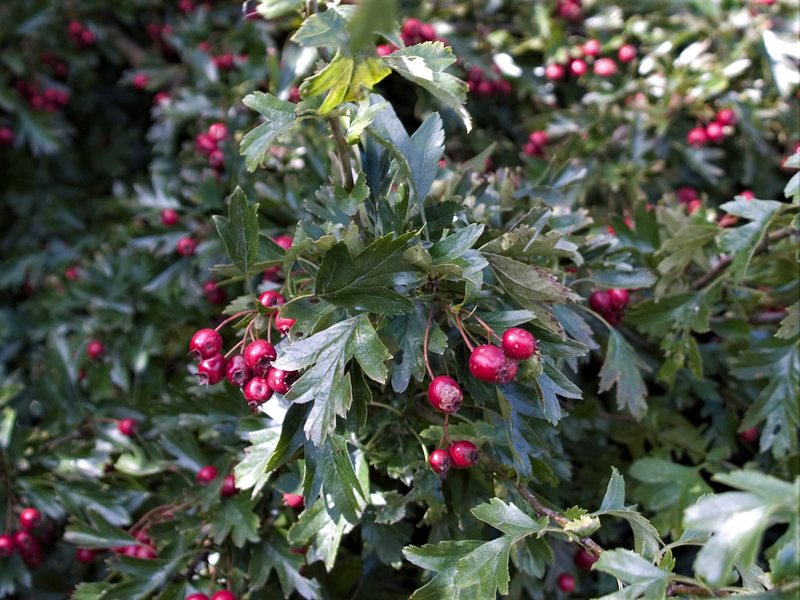 The berries make a fine jelly on their own and just the juice, made by crushing the berries in the hands and sieving them, will set very quickly with no heat. 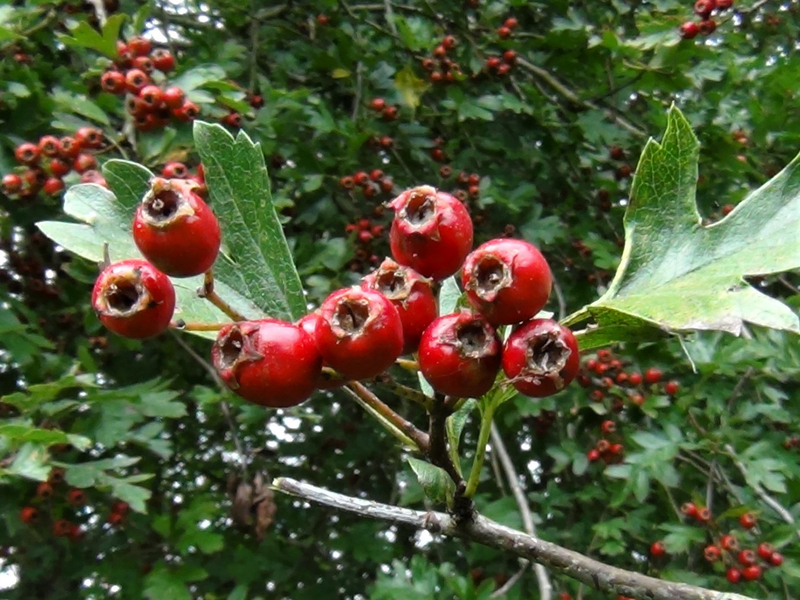 If the berries are very sweet no sugar is needed, if not just add a little sugar to taste. 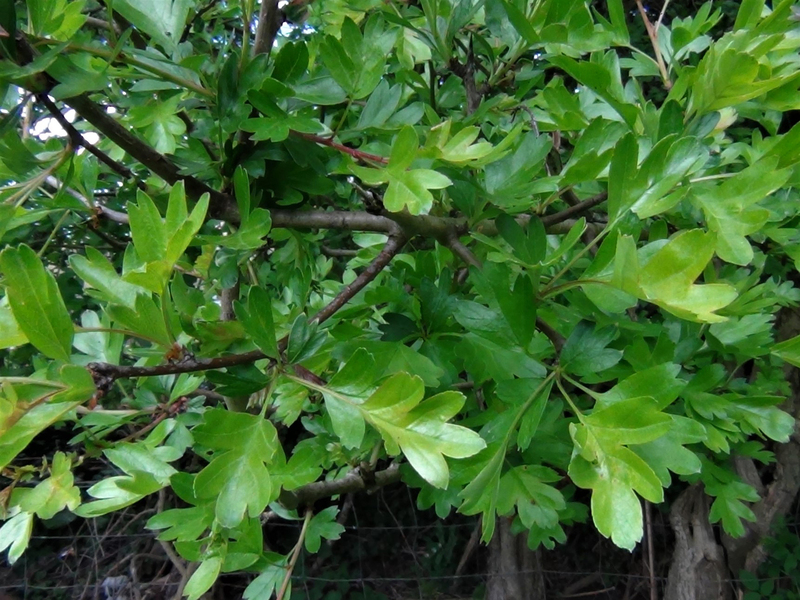 Hawthorn makes a particularly secure barrier that is quite impenetrable to humans and large animals.